After a wonderful experience in our Thailand student-tour last June, we are very excited to announce that next summer's tour will be to Italy! 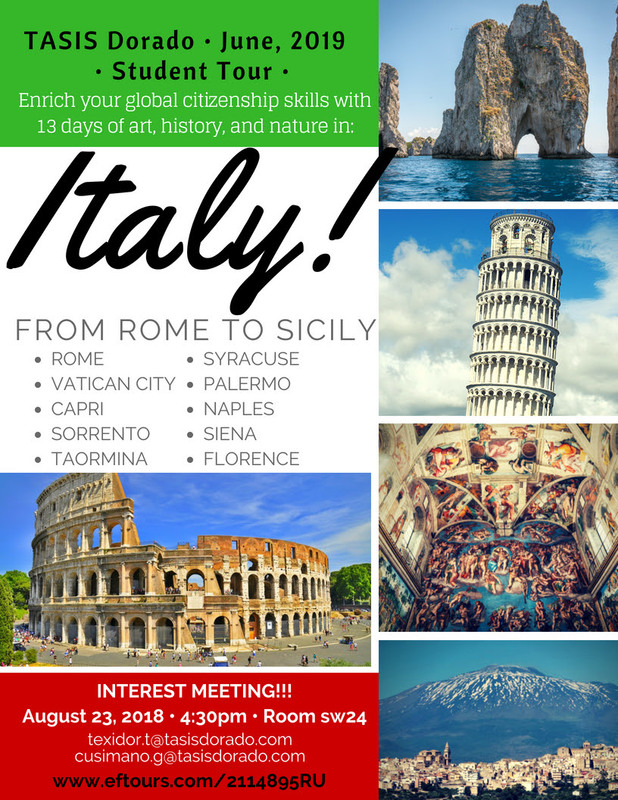 Thirteen days of experiential learning while visiting major Italian highlights such as Rome, Florence, Capri, Pompeii, Sicily, and many more. It will be a tour full of art, history, and nature. We will travel with EF Tours, an accredited educational travel company with 50+ years of experience.